Africa Barter (http://www.africabarter.co.za) and South Africa Business hub (http://www.sabusinesshub.co.za) are cooperating to expand barter awareness in that part of the world. If you have only one shredder, it belongs in the kitchen. That�s according to a Staples study, indicating most junk mail ends up in the kitchen trash, not the office trash. Stripped of all the realtors rhetoric that we see in the papers here in Orange County (CA), this real life situation reinforces today�s reality. There was a real estate auction on March 1, less than 5 miles from where we�re located, in an equestrian community called Nellie Gail Ranch. The homeowner had previously hosted 40 open houses on his property over an 18-month period without a single offer. At the auction he sold his five-bedroom, Mediterranean-style house in the Laguna Hills enclave for $900,000 less than his original asking price. The asking price was $2.09 million...the selling price $1.2 million. Five people showed up for the auction. By 2012, nearly 33 million U.S. households will have broadband services with speeds of 10 mbps or higher, capable of streaming high-definition video, according to a new Parks Associates� North American Broadband Market Update. Many industry experts and economists see a direct link between faster internet connections and the growth of the internet economy. The country still has a way to go, however. At the end of last year, 5.7 million (9%) of U.S. broadband households, had reached the 10 mbps mark. The latest missive from Forbes tells us there are 1,125 billionaires in the world now. Unfortunately, that leaves 6.5 billion or so of us who � according to the unfailingly accurate Central Intelligence Agency � have a global per capita income of $8,200, when using the dollar as a benchmark. You may be thinking that Sierra Leone�s $530 annual per capita income brings down the class curve, but the U.S. average income is all of $37,500. ITEX Corporation (OTCBB:ITEX), a leading marketplace for cashless business transactions in North America, has filed its Form 10Q with the Securities and Exchange Commission and announced its results for its 2008 second quarter ended January 31, 2008. �We are pleased to report a 14% increase in second quarter revenue over the same quarter last year. Increased revenue positively impacted net cash provided by operating activities which increased a remarkable 141% for our second quarter over the same quarter last year,� said Steven White, Chairman and CEO. �The second quarter is historically strong due to holiday events and year-end business spending. Contributing to this quarter�s results are our three corporate-managed offices that are showing steady increases in enrollment and transaction volume. White continued, �Several of our revenue initiatives over the last twelve months are beginning to gain traction, including our hiring of an industry veteran as our national sales manager and engaging a seasoned new member registration individual in our Chicago location. � Revenue was $4,175,000 in 2008 compared to $3,665,000 for the second quarter in 2007, a 14% increase. Revenue for first six months of 2008 was $8,028,000 compared to $7,455,000 in the same period in 2007, an 8% increase. � For the quarter and six month period, generated revenue from the acquisition of Intagio assets was $352,000 and $639,000, respectively, and $119,000 and $211,000 in organic growth from existing operations, respectively. � Net cash provided by operating activities for the second quarter increased to $1,018,000 from $423,000 for the same period in 2007, a 141% increase. For the six month period ended January 31 net cash provided by operating activities increased 31% to $1,785,000 from $1,367,000 for the same period in 2007. � Stockholders� equity increased $413,000 or 3% to $12,754,000 at January 31 from October 31, 2007. Cash and cash equivalents increased to $1,091,000 as of January 31 from $254,000 on October 31, 2007. � Income from operations excluding the non-cash items of stock-based compensation, depreciation, and amortization was $671,000 or 4-cents per share for the second quarter of 2008, and $1,128,000 or 6-cents per share for the six month period of 2008. � New member registrations increased 28% to 632 in the second quarter from 492 in the same period last year, and for the six month periods registrations increased 19% to 1,588 from 1,333. � ITEX acquired a 15% equity position in MyTypes, Inc., a Seattle-based technology and small business blogging company. As part of the collaboration, they engaged two MyTypes senior software engineers to work on our search engine optimization and marketing initiatives for a limited time. � ITEX retained two top Chicago marketing firms - The Goodness Company and Sigale Public Relations - to provide additional, professional assistance to its franchisees. � ITEX dismissed a defamation complaint filed in September 2006 upon execution of a stipulated judgment payable to the company in the sum of $100,000 contingent on certain, future events. There was no impact to earnings or the balance sheet for this judgment. � Subsequent to the end of the second quarter, a membership list had been acquired of approximately 400 member businesses in Cleveland, Ohio. ITEX Corporation's report on Form 10-Q can be found at www.sec.gov. 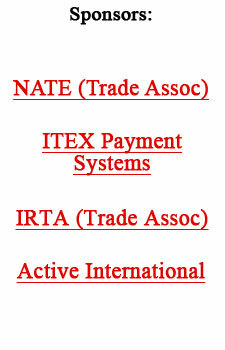 For more information on ITEX visit www.itex.com. TTi reported the two month trade activity for 2008 totals $10.8 million on its worldwide platforms servicing independent trade exchanges. Total of all online activity since 1999 exceeds $573 million. The eValues system reflects over $7.5 million in transaction volume during this period; online totals should reach nearly a third of a billion in activity since coming online in 2000. The system allows members and their exchanges opportunities for trading with 24/7 online access, daily trade broadcast e-mails, a strong trade inventory control system, comprehensive contact management, and an unequaled accounting system. TTi is in the process of upgrading its server farm to further accelerate its processing. With new dual quad processing and advanced security procedures, the system will respond quicker and be more secure meeting the credit card industry PCI compliance requirements. From further information contact CEO Gary Lasater at 303-840-7172 ext. 1, or e-mail gary@teletrade.net. The Salvation Army wants the gift cards in your wallet. The organization has begun collecting cards with outstanding balances in Washington, Idaho and Montana, and will use some of those funds to support its services. The group is collecting cards in King County, Bellingham, Bremerton, Tacoma, Grays Harbor, Wenatchee, and Vancouver (WA); in Great Falls, Kalispell, and Missoula (MT); and Lewiston (ID). If you have a gift card with a remaining balance, you can take or mail it to your local Salvation Army Corps. Salvation Army is working with www.Swapagift.com to collect the cards. Spot Runner has announced the acquisition of Weblistic, an online media company specializing in search, and some display advertising. The deal is part of a push by Spot Runner to offer a fully automated online advertising and media buying system that anyone can use to create, buy, schedule, and evaluate advertising on any medium. To date, the firm has focused mainly on television advertising, and radio to a lesser extent, trying to develop online print advertising and media buying systems for newspapers and magazines, akin to what Google has been trying to do with print. Nick Grouf, chairman/CEO of Spot Runner, says the firm grew �500%� last year, and now that it�s automated TV advertising model has been proven to work, it is taking the next logical extension and offering the same capabilities for online media. �We will now be able to offer a full array of solutions for our clients for television media and for online media,� he stated, adding that Spot Runner�s focus will remain with the smaller, retail, and mom-and-pop type organizations that are typically overlooked by big ad agencies. Although Weblistic is known for their search expertise, Grouf indicated Spot Runner would use that as a base to expand into display and ultimately online video advertising. The team at Weblistic were the same people who created Yellowpages.com before it was sold to AT&T. An important part of the new services would be Spot Runner�s ability to analyze the impact various advertising and media buys have across integrated campaigns, tracking the results from disparate media, as well as how they complement each other.